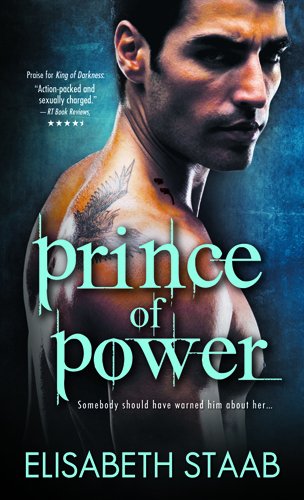 Today only (I’m pretty sure it’s today only) – 1/4 – Amazon and B&N have Prince of Power on sale for $1.99 in ebook! Also, Amazon still has King of Darkness on sale for $2.99. More exciting than that? You can currently pre-order the paperback of Hunter by Night for $4.29, which is a decent coupla bucks off the cover price. And I’m not an expert on these things, but I’m pretty sure they have a guarantee that the lowest price is the one you get, so if the price drops after you pre-order, you pay the lowest price. There’s still time to request an advanced review copy of my upcoming contemporary romance, One Week. If you’re a blogger / reviewer and would like a review copy, just fill out this form, and I’ll have a copy to you shortly. Thank you in advance for your interest in One Week! There’s ONE DAY left to enter Tes Hilaire’s 12 Days of Giveaways! I’m giving away a signed copy of Prince of Power, and there’s an e-reader and many other awesome prizes. Check it out, here.